In the recent years, online shops started to sprawl like mushrooms. They easy rose to fame and public following because they offered a lot of convenience. For one, customers no longer need to go to actual shops just to avail the stuff they need. With online shops, customers just need to check websites, place their order, and their desired item is delivered right in their doorsteps! But online shops wouldn’t have come into existence without the innovation in E-commerce. Various e-banking sites now have made possible the transfer of money between bank accounts only through the Internet. The development of E-commerce technology can be considered the blueprint of online selling and shopping. With this technology, online buyers can now pay items without really using cold cash. They just need to create accounts in e-commerce websites that would enable them to transfer their money to the accounts of their sellers. Conversely, online sellers are now able to collect payments from customers without really having to meet them personally. And in order to manage the influx of payments effectively, online sellers can make use of online Invoice Software. These are systems which provide effective facilitation of payments and fund transfers. Although there are plenty of online invoice systems available in the cyberworld, Zoho.com is surely a standout. 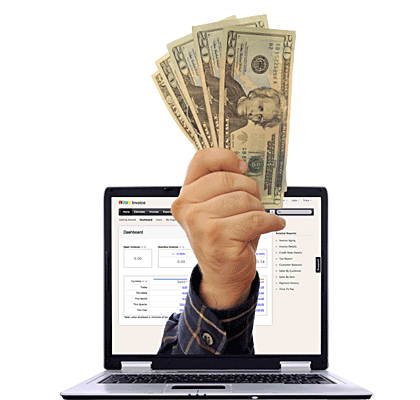 It is a prime choice among online sellers because this site offers an excellent invoicing system services with the guarantee that the cash deposits and transfers are in secured. It allows users to create, send and manages invoices online. Invoice templates come in elegant yet clear designs which will speak of your reliable and dependable business. It also allows users to track payments from customers. This way, you are getting a clear review of the total number of payments you should collect from customers and their corresponding amounts. But perhaps the best thing about this site is that it offers its service for free! The free service includes invoice involving five customers in a single project. But if online sellers need a larger invoicing system, they can also avail the other softwares which are available for minimum amount per month.